Authentic Oktoberfests in the US in October. I love Oktoberfests. The beer, the pretzels, and the lederhosen. Munich has been on my bucket list for years. Now, Oktoberfest might be over in Germany but you can still have an authentic Oktoberfest in the US. Oktoberfest began on October 12, 1810, to celebrate the marriage of Crown Prince Ludwig to Teresa of Sassonia-Hildburghausen. All citizens were invited to the feast. 1892 introduced the Stein and in 1896 the first large beer halls were constructed. Since then “holiday” has been taken on a life of its own. There is always an opening ceremony and a closing ceremony, usually involving some sort of race. Luckily there are several places in the US that host a very authentic Oktoberfest in October. One of the beer gardens in downtown Helen. I first heard about Helen several years ago while on a business trip in Atlanta. Having some spare time, I decided to drive up and see what it was all about. 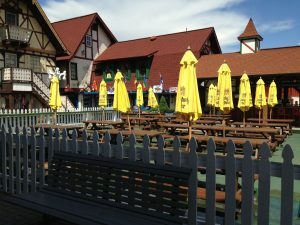 What awaited was a replica of a Bavarian town in the mountains of Georgia about 3 hours north of Atlanta. They do their best to bring Bavaria to Georgia. Even the street signs are in German. Their tagline? 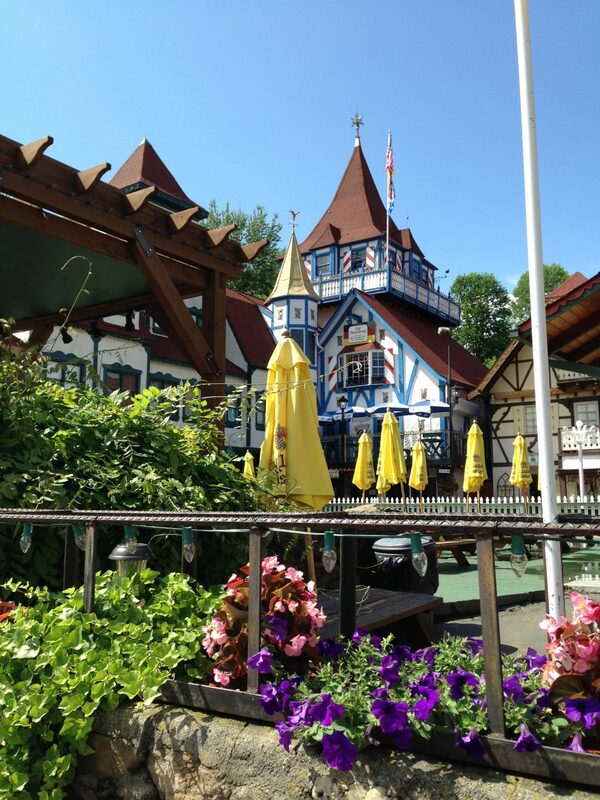 “The heart of Bavaria, in the heart of the Blue Ridge Mountains.” How great is that? Walking around this town you feel like you could be in a section of Epcot. I did have lunch there and stopped by one of the bakeries for treats, all were wonderful and authentic. Having been to Bavaria on several occasions I can say this a great little replica. Helen begins their celebration of Oktoberfest in mid-September and runs through late October. For the month of October, Oktoberfest is on every single day. Want the most bang for your buck? Go on a Sunday when admission is free. 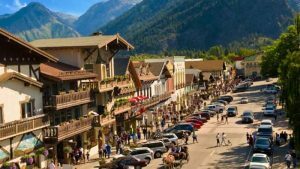 Much like Helen, GA, Leavenworth is a town plucked out of Bavaria and placed in the Cascade Mountains of Washington State. During the 1960’s the town decided to give the town a facelift to resemble a Bavarian town. This was done to match the beauty of the mountains that surrounded them and to bring in much-needed tourists. Add a few festivals and the gamble worked. Today Leavenworth is a destination for not only enthusiasts of Oktoberfests but of European winter markets. Leavenworth’s Oktoberfest covers three weekends starting the last weekend of September and first two weekends in October. It is spread over 4 venues and every Saturday there is an opening parade followed by a ceremonial keg tapping. I just want some beer! I get it. There are tons of great Oktoberfest around the country but if you want to feel like you’re in Bavaria and it’s October make it a point to head to one of these destinations.